e-books representing a broad range of academic subjects. This subscription package offers more than 170,000 e-books. The collection includes titles from leading university presses such as Oxford University Press, MIT Press, Cambridge University Press, University of California Press, Harvard University Press and many others. Additional academic publishers include Elsevier, Ashgate Publishing, Taylor & Francis, Sage Publications and John Wiley & Sons. All titles are available with unlimited user access, new titles are regularly added to the collection. To download eBooks, save preferences, organise your research with folders, share your folders with others, view others’ folders, save and retrieve your search history, create email alerts and/or RSS feeds and gain access to your saved research remotely you must have a personal My EBSCOhost folder account. Click the Sign In link in the top toolbar and then click the Create one now link. Fill in the fields on the Create Account Screen. When you create a new My EBSCOhost folder account or are updating the existing password for your account, you are required to create a strong password. 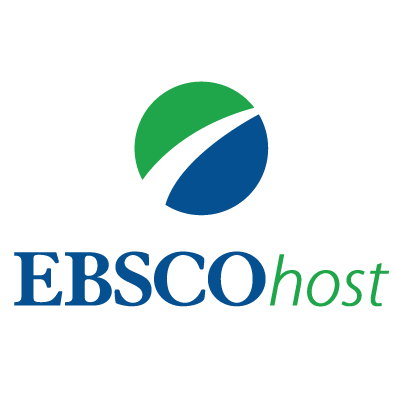 Need more information about how to create and manage a My EBSCOhost Account? Read the article “How to Create and Manage a My EBSCOhost Account”. If you see a Download icon ( ) next to the eBook it means you’re allowed to check-out and download the eBook and read it on your computer when you are not connected to the Internet or transfer it to your Adobe Digital Editions-compatible eBook Reader device. Note: In order to download eBooks, you must have Adobe Digital Editions installed on your computer. At Maastricht University, Adobe Digital Editions is a standard application. Click the Download icon to begin downloading an eBook to your computer. Select a Download Duration from the drop-down menu and when available, select whether you would like to download the PDF or EPUB format of the eBook. Confirm that you have Adobe@ Digital Editions and click the Download button. The eBook is added to the Checkout area of your folder. Select Open with or Save File from the resulting dialog box. If you select Open with, your eBook is opened with Adobe@ Digital Editions. If you select Save file, the eBook is saved to your computer and can be opened with Adobe Digital Editions at a later time. Some eBooks may be available without DRM (Digital Rights Management) restrictions. These eBooks do not require you to sign in to My EBSCOhost to download them. To learn more about checking out and downloading eBooks read “Checking Out and Downloading EBSCO eBooks”. How do I authorise Adobe Digital Editions? It is possible Adobe Digital Editions asks you to authorise your computer. Click on “Computer authorising without id” and click “next”. 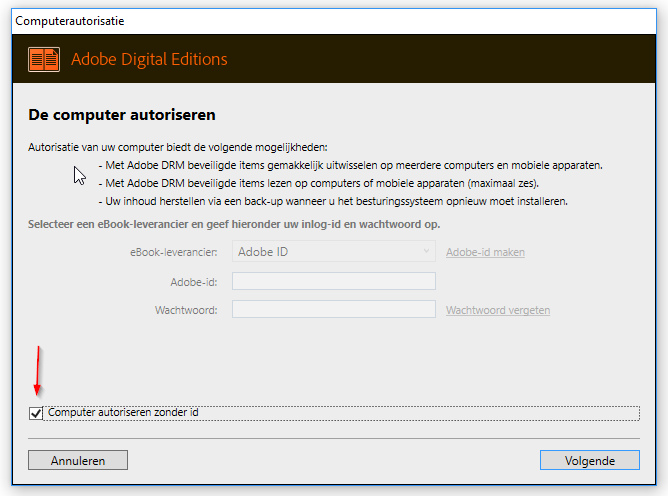 To learn more about installing Adobe Digital Editions, read “How do I install and authorize Adobe Digital Editions”. Using EBSCO eBooks offline: How can I download and read eBooks on my mobile device?